For a lot of people, dealing with financial stress can cause major anxiety and fear. When you think about money, do you clench your teeth, ball your fists, or feel your neck tense? Does the current state of your finances make you feel uneasy, scared, or even sick to your stomach? You may ignore your finances altogether and allow paperwork and bills to accumulate without action. You may micromanage your finances by checking balances several times a day and getting mad when anyone in the family spends money. You may overspend in an attempt to drown out the anxiety you feel when you think about money. You may lie to your partner or yourself about the state of your finances. 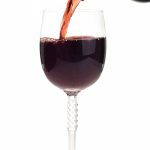 None of these coping mechanisms are healthy, but they are common. 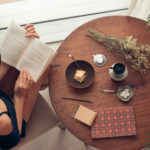 But there are strategies you can take to lessen the impact of anxiety on your finances and help you feel more secure about your situation and less stressed about money. Here are 6 ways to make your finances less stressful. Put your papers in order to reduce financial stress. Add financial to dos to your daily list of tasks. Deal with your health insurance and care to stop money stress. Start a savings plan to be less stressed about money. Put together a debt repayment plan. Start a worst case scenario list. 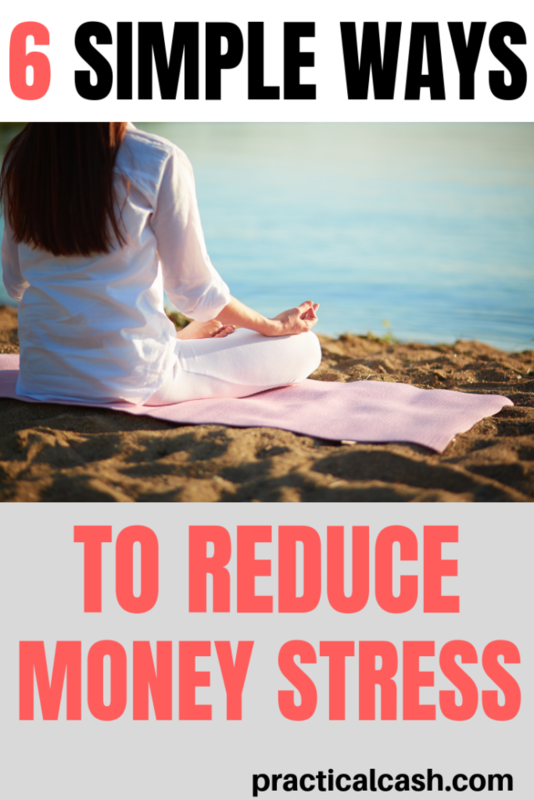 What do you do to reduce financial stress and anxiety in your life? Leave us a comment to share your strategies! Not knowing where to find bills, important papers, or banking statements can cause a lot of mental and financial stress. Gather all of your paperwork together in one place. Throw away or recycle receipts you no longer need, envelopes, catalogs, flyers, and other nonessential paperwork. Get the items out of your workspace before you move on to the next step. Shred old papers or take them to an office store where you can pay a small fee for shredding. Separate items you need to archive (old bill statements, receipts you need to keep, and tax documents) from current bills and papers. Scan or paper file all items you need to archive. I like to scan as many documents as possible, but for filing papers I use labeled manila envelopes and plastic file boxes. Streamline what you keep as much as possible. What’s left should be current and unpaid bills or papers you need to take action on. Throw away all envelopes and file your unpaid bills in one folder that you keep nearby for easy access. As you pay them, move the statements to the archive you’ve created. Everyone has money and financial tasks they have to complete throughout the month. Whether you use a paper planner or an online calendar, after you’ve gone through all your paperwork, you’re likely to have several tasks you need to complete. 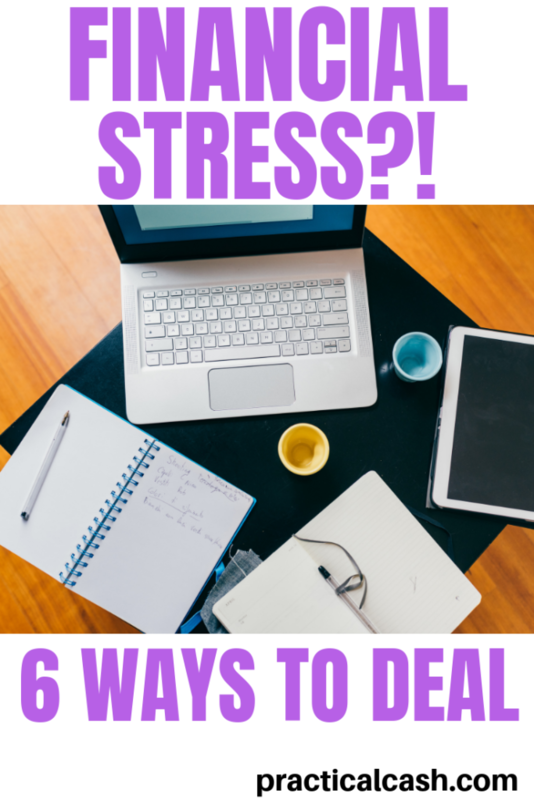 You have to ensure these tasks are getting done to reduce financial stress. Set a recurring date to balance your checkbook. Add payment dates to your calendar if you pay your bills on paper. Follow up with insurance companies or doctor’s offices about billing errors or reimbursements. Create a reminder to create or update a will. Make a note to find out how to start a 529 college savings plan for your child or add to your work retirement plan. File your taxes (or meet with your accountant). Pay estimated and sales taxes if you own a business. For every financial issue giving you stress, identify the steps you need to take and add each of those steps to your daily to do list/calendar. That’s a tremendous amount of people feeling stressed about not having insurance, not having enough insurance, or not having enough money to pay for insurance. If you’re unemployed or don’t have access to insurance through your employer, it may be tempting to avoid thinking about the situation. Or you may feel embarrassed because you don’t have a job, so you just hope and pray you or your family members don’t get hurt. But not dealing with health insurance issues out of anxiety can lead to huge financial problems down the road, not to mention money stress and depression. Unfortunately, there are no easy answers for a lot of people – the cost of health care in the United States is staggeringly high, for employers and employees. Use the federal and state resources available to you. Medicaid, CHIP, and other government health care programs may be available if you have low or no income. If you or a spouse has lost health coverage through a job, you may be eligible for COBRA or the ACA (Obamacare) Marketplace health insurance plans. As soon as you lose coverage, begin researching your options for health care to prevent a costly lapse in coverage and financial stress. Staying healthy is the best way to reduce your health care costs. Be sure to eat nutritiously, exercise, avoid tobacco, and limit alcohol to reduce your risk of health problems. But having a savings plan – even a little – is a tremendous buffer against money anxiety. Just knowing you have a little money in the bank can relieve a lot of the daily stress if you’re used to living paycheck to paycheck. One way to start saving if you’ve been living paycheck to paycheck is to trim some money off of your bills. 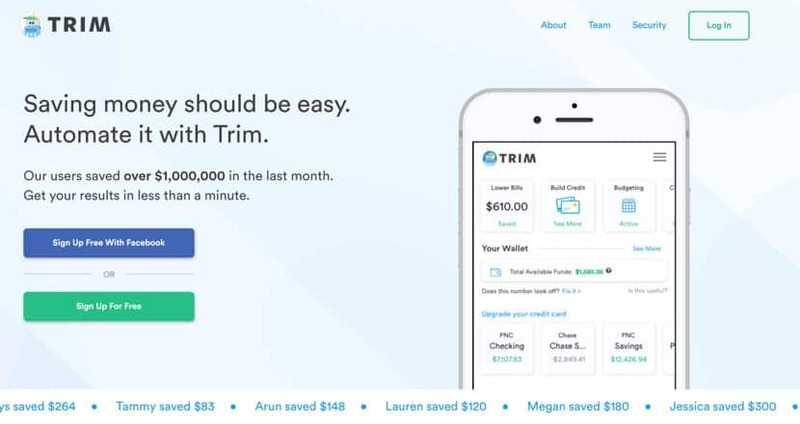 Automating your finances with a trusted company called Trim may help alleviate some financial stress for you. Trim is a simple app and it works by acting as your own personal finance manager. First, you link your bank to the app, and Trim gets to work analyzing your spending, finding subscriptions you need to cancel. They’ll even negotiate your Comcast bill or work to find you better insurance. The Trim app is free and easy to use. With just a little effort, you could easily free up $100 you could use to start your savings plan. Dealing with debt is a key contributor to financial stress for a lot of people. Once you’ve organized your paperwork and started saving a little each month, consider working on a debt repayment plan to begin reducing the amount you owe and find money to pay off debt fast. When it comes to debt repayment, there’s no one better than Dave Ramsey. My husband and I used the Dave Ramsey strategies to pay off over $50,000 of personal and business debt more than 5 years ago. We’ve been debt free except the mortgage since then. Sometimes we get stressed not just about current circumstances, but about what could happen in the future. 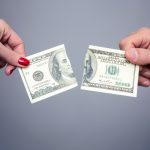 It’s stressful to lie in bed at night thinking about what might happen if you or your partner lost your job or got laid off from work [link], or if you had a huge medical bill you’d have to pay. I’m very prone to anxiety, especially financial stress, even though I’ve spent a lot of time working on my finances over the years. One strategy I like to use when money stress and financial worry is great is to create a worst case scenario list. I take out a sheet of paper and write my primary worry at the top of the page. Then I brainstorm all the ways I could deal with the problem if it actually did happen. 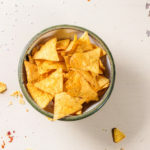 On my list, I include side hustles I could do, ways I could earn extra money from home, how long our savings would actually last us without income, and strategies for reducing expenses and easy ways to stop spending money. By the time I’ve spent an hour on crafting my list, my financial stress and anxiety has lessened significantly. Most of the time, the worst case scenario doesn’t come to pass, but filing my list for future reference provides a lot of peace of mind. If you’ve taken action toward organizing and improving your finances, or your financial stress persists or is severe, consider talking to a mental health professional, such as a therapist, social worker, or psychologist. He or she may be able to help you with the stress you’re feeling and help you find ways to reduce or eliminate it in your life.